Yes, the sequels blow rancid chunks. Yes, Jason has evolved into a comical anti-hero as opposed to anything that might be mistaken for frightening. Yes, the FRIDAY film budgets have gotten bigger in direct porportion to the degree to which the quality evaporated. 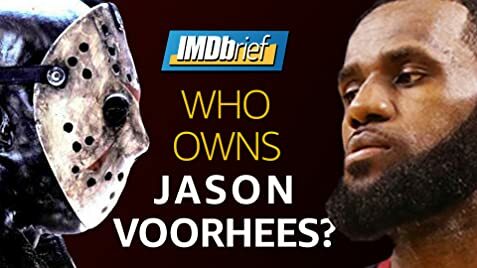 And yes, the Hollywood powers that be are apparently gonna try to beat this dead horse at least one more time with the release of JASON X this year. But before all that, there was this one little film. I will freely admit that the original FRIDAY THE 13TH was inspired by John Carpenter's HALLOWEEN, and the latter film's success is exactly the reason why we got the subsequent ten films. But when judged on it's own merits, FRIDAY THE 13TH is actually a pretty good horror flick. Not one that's ever gonna win any awards, but a decent night's entertainment nonetheless. I've read some posts here that decry the film as tame by today's standards. Well, to each their own, but this was the film that started the slasher craze of the 80's (HALLOWEEN may have been the first, but F13 provided the template). In 1980, this was HEAVY stuff. FRIDAY THE 13TH is effective for all the reasons that many here seem to want to blast it. The amateurish, shaky photography adds to the intimacy and claustrophobia of the situation. The actors come off more like 'real people' as opposed to actors playing a part (let's face it; glitzy "Hollywood" acting would have ruined this film). And the gore effects are still amazing 20 years later. Tom Savini has consistently remained the best in the business. FRIDAY THE 13TH embodies everything that a good, low-budget horror film should be. And it does it very well, all without the help of telekinetic teens, loony ambulance drivers, undead zombies with a penchant for hockey masks, hellbabies, or even Freddy's glove for a cameo. Composer Henry Manfredini came up with the now classic "ki ki ki ma ma ma" vocals attached to the score. It's his voice as well. Alice: In the lake, the one... the one who attacked me. The one who pulled me underneath the water. Tierney: Ma'am, we didn't find any boy. Alice: But... then he's still out there. (at around 39 mins) When Jack and Marcie are in bed together, the close-ups show Jack's hand up near Marcie's neck, but in the side shots they are by her body. Other than the credits where's the actors list, rather than, starring the cast list, at the end, are used. The original Region-1 DVD features the full uncut death of Annie, but also has an even shorter version of Pamela Voorhees's death than in previous R-rated prints. It is neither an uncut nor R-rated version. However, the Friday the 13th: From Crystal Lake to Manhattan boxed set, released in 2004, contains the full theatrical cut of Pamela Voorhees's death and the R-rated cut of Annie's death. In 2009, a region-1 DVD of the fully uncut version was released.